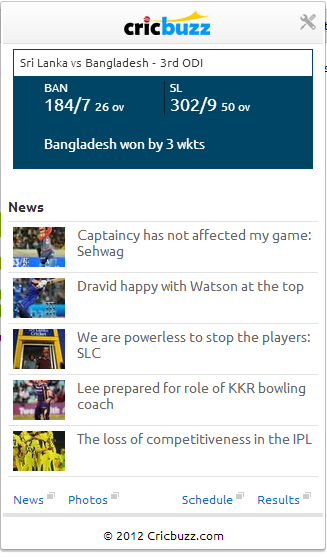 We all know that the IPL is starting from April 3rd and we provided the full shedule in our previous posts and now we are providing the top 5 chrome extesions to get the live scores. 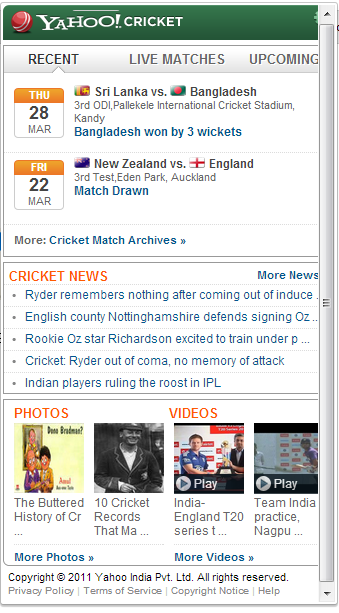 You can visit cricnkhel.com for live cricket score update. 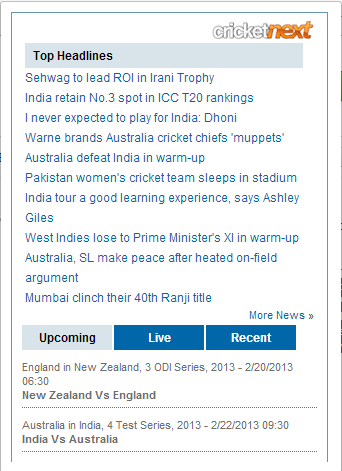 This is one of the finest websites I've ever seen for live updates. 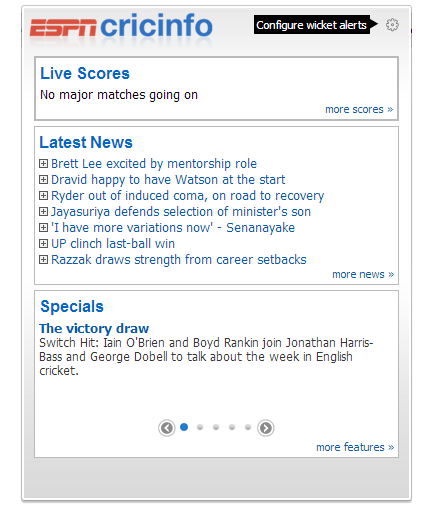 Of all these extensions, I found cricbuzz live score extension very good. It is too user friendly.